Facebook and its photo-sharing application Instagram are both banning the group, a company spokesperson confirmed to Business Insider. Twitter banned the group back in early August, Sputnik News reported. Accounts belonging to members of the Proud Boys had made a number of violent threats on the platform. In October, members of the group were caught on video in New York beating anti-fascist protesters while shouting anti-gay slurs. 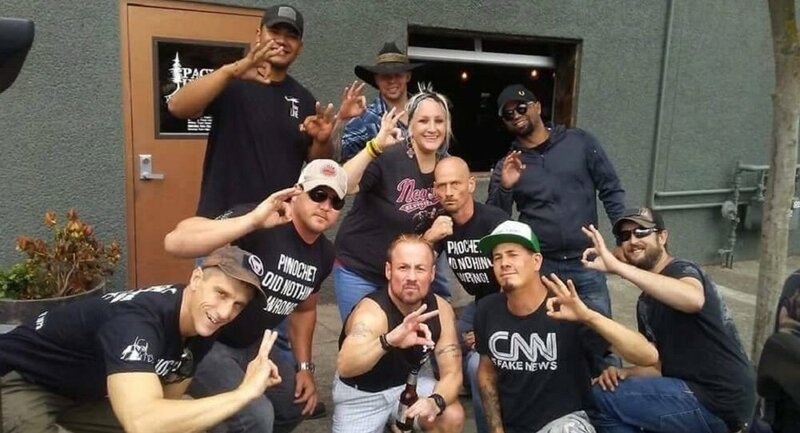 Five of the nine perpetrators with the Proud Boys have been arrested. Just prior to the beatings, McInnes was seen wielding a sword. Days later, he said on his podcast that he has a "lot of support in the NYPD [New York City Police Department]." According to McInnes, the Proud Boys are a "gang" with tiered levels of membership. The highest level is for members who "get arrested or [participate] in a seriously violent fight for the cause." "Our team continues to study trends in organized hate and hate speech and works with partners to better understand hate organizations as they evolve," Facebook said in a statement. The platform was apparently essential to the growth of the group. According to the Southern Poverty Law Center, the Proud Boys used Facebook a tool to recruit and vet new members. Most of the Proud Boys pages on Facebook appear to have been deleted. McInnes' page and his podcast page still appear active, however.